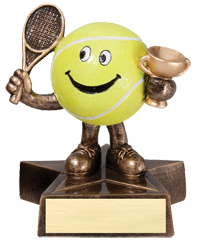 The CTA Men's Team League is a multi-line/court format where teams play matches and the winner is determined based on the number of lines/courts won. We are currently playing 3 lines/courts for each match. The goal of the league is to be as evenly matched as possible, competitive, and most important, fun. To keep the playing field as competitive as possible, the captains in the league hold a draft each season to determine team rosters. Ideally, each team will have an equal amount of skill rated players of each level. Each team will have a number of extra players per roster to allow for flexibility in schedules and availability of players. Subs are allowed. Each week, the captains will try to get every player who is available on a court, whether they are part of the 3 lines or a scrimmage court. Lineups are typically sent out between Sunday and Tuesday and you will know which line or scrimmage court you you will play. The team draft brings an exciting format to the league where you may play with or against your friends and get to meet a lot of new players for some fun friendly competition. The Men's Team League is open to age 20 and older, with ratings between 3.0 and 4.5. If you are interested in signing up for the Men's Team League please submit the form below. PLEASE NOTE: You must submit the form EACH SEASON to add your name to the league player list. The signup period for the 2019 Spring Men's League is closed. If you are interested in playing, please email chatt10s@aol.com with your name and contact information. We will try to place you on a team, or at least add you to the sub list. Midway through the Spring 2018 season, we sent out a brief survey to get player feedback and determine what changes may need to be made. Here are the results to that survey. More teams added to the league. Advertise more and recruit more young players.